In the past, the large export facilities in New Orleans traditionally used unloading devices known as "marine legs." 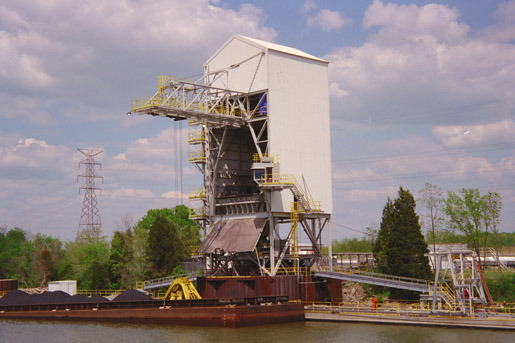 Quite different in size and capacities from the modern Continuous Barge Unloader, or CBU, these machines are equipped with small buckets that travel at high speed. Their maximum capacity is usually in the range of 20,000 to 25,000 bushels per hour, roughly 600 to 750 tons per hour. 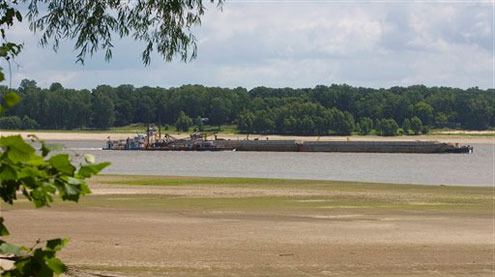 The drought-stricken Mississippi River is at its lowest levels in nearly 50 years, which has made barge navigation much more difficult and disrupted the loading and unloading of barges at ports along the river. Ports have become too shallow, and some have required dredging. 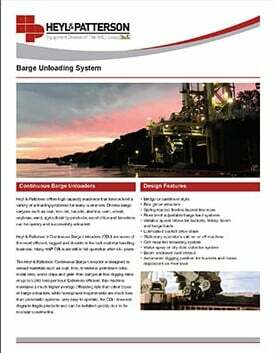 Companies now reduce their barge loads to avoid bottoming out, using four barges to haul the same amount that three would ordinarily haul, so that the barges sit higher in the water. 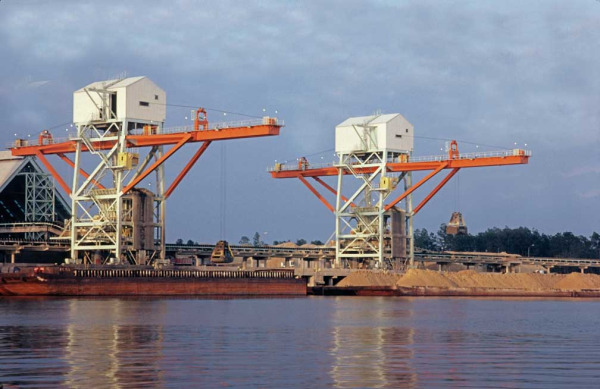 More barges have meant more trips, leading to increased transportation costs. 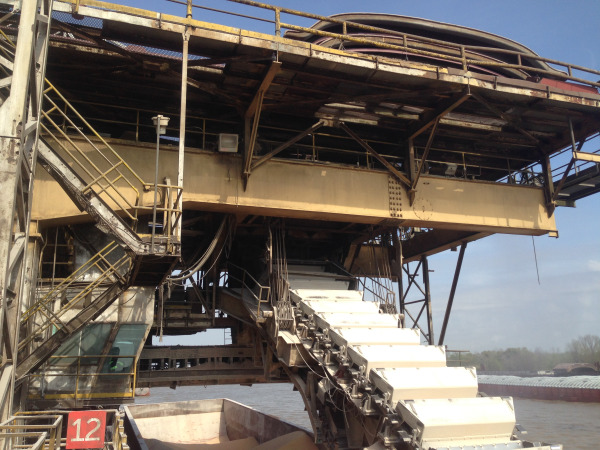 A few months ago, the Heyl & Patterson blog tackled the competition of the Continuous Barge Unloader vs. the Grab Bucket Unloader, to see which machine was the best for unloading river barges. 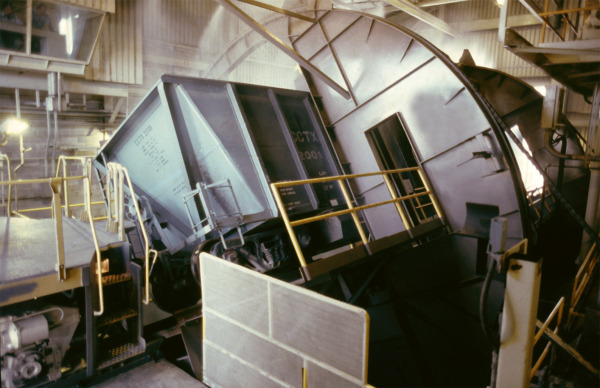 A grab bucket is a simple enough machine: a clamshell bucket is lowered onto a barge, takes a bite of bulk materials and ascends to deposit its contents into a receiving hopper. 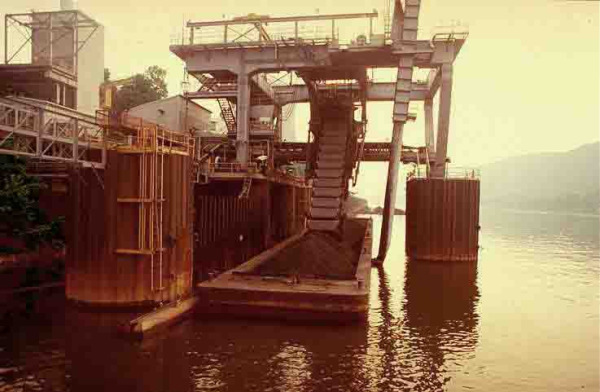 However, the Continuous Barge Unloader is far more complex. 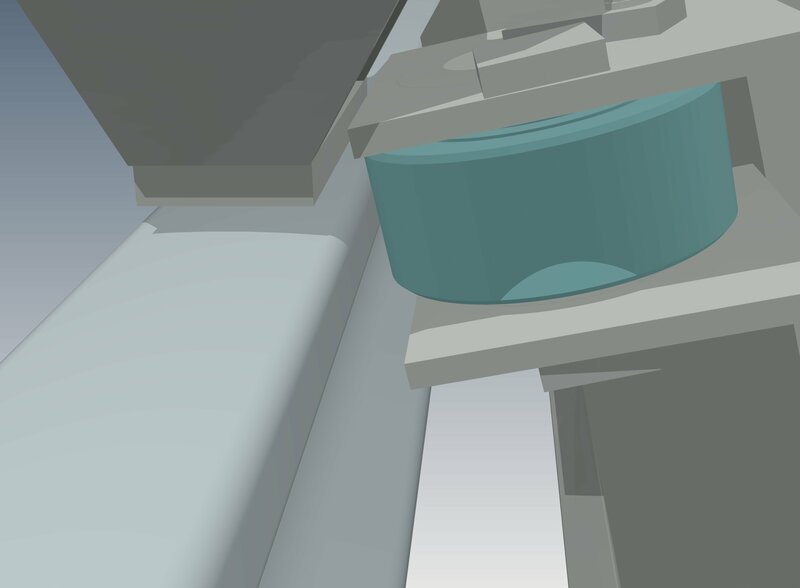 This article will examine this machine more closely to see what makes it tick.